Rachelle Lee Smith’s traveling photo essay, which was installed on March 1 into an art gallery at UConn, has been seen by people all over the world. 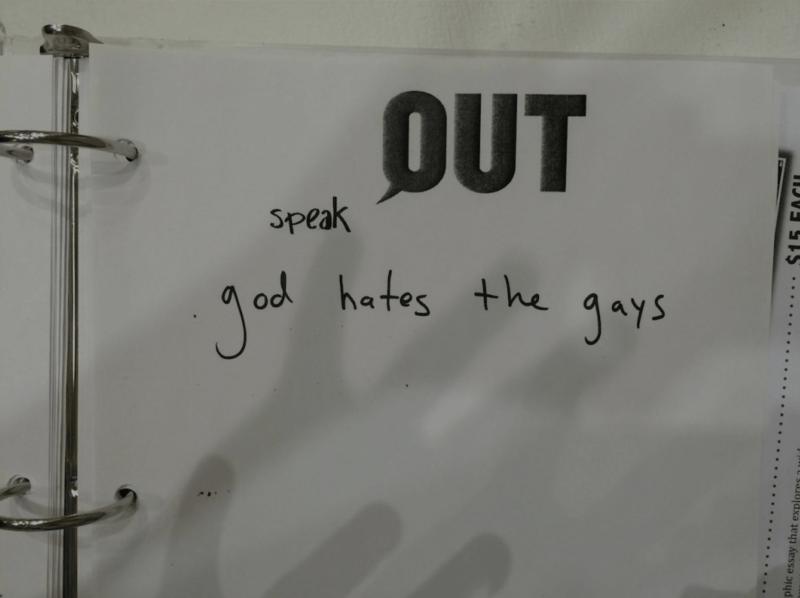 But, for the first time in the exhibit’s history, “Speaking OUT: Queer Youth in Focus,” was vandalized. 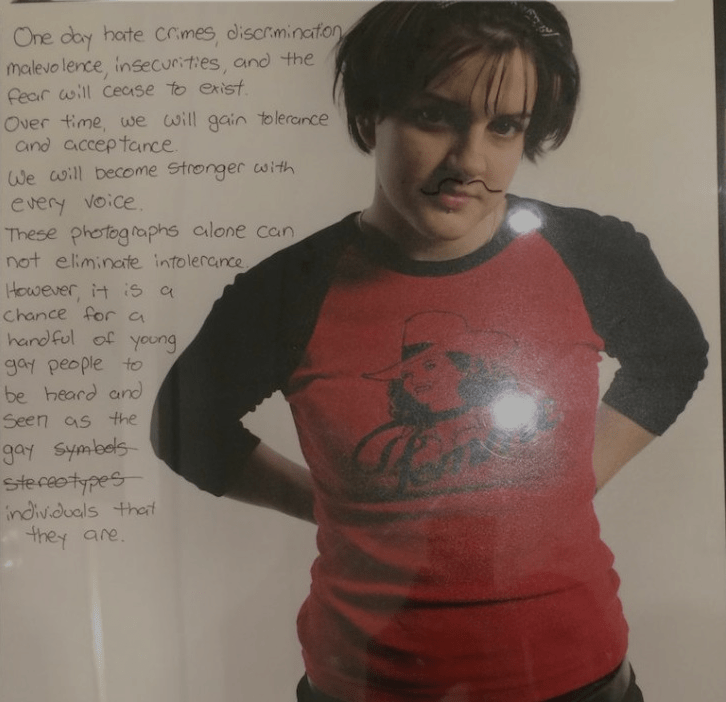 “What happened was they entered the art gallery and used Sharpie marker to deface three of the photographs there,” said Ben Plant, a student on the Rainbow Center staff and Green Crew who helped install the exhibit. Rachelle Lee Smith’s photo essay comprises dozens of portraits of queer youth with handwritten messages. According to UConn spokeswoman Stephanie Reitz, the vandalism to the works likely occurred sometime overnight Thursday into Friday. Phallic symbols were drawn on the glass of two photographs and a mustache was drawn on a self-portrait of the artist. The person or people who vandalized the works also wrote “God hates the gays” in a logbook for visitors. In 1999, The New York Times ran a piece citing a Princeton Review ranking that placed UConn No. 12 out of the 20 most homophobic college campuses in the United States. Today UConn is given 4.5 out of 5 stars on the LGBT-Friendly Campus Climate Index for being LGBTQ-accepting. Although Edelman said huge strides have been made since that 1999 ranking, she still sees this incident as a reminder that no place is perfect. “I think this is just, for all of us, kind of a painful reminder that people will go out of their way to make it known that they feel hatred and bigotry towards this community,” said Edelman. 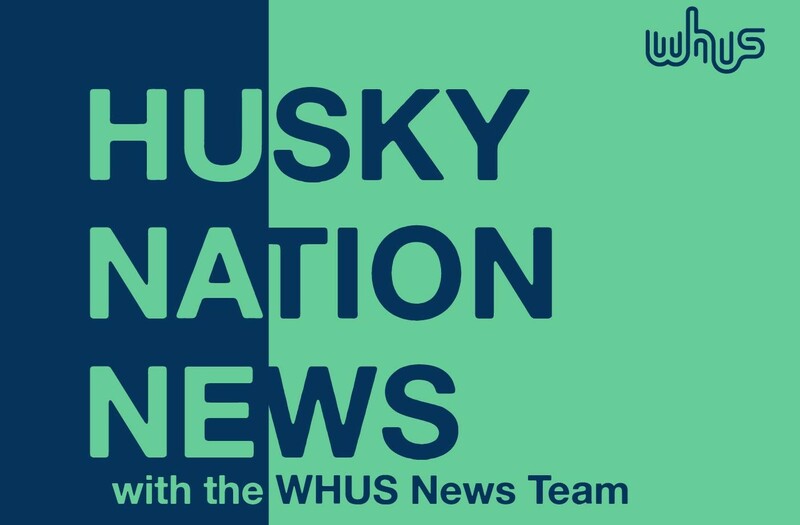 Reitz said in an email to WHUS that when the vandalism was discovered, the administration followed the protocol for Bias-Related Incidents/Graffiti/Images and notified UConn police. Plant said he has been in touch with artist Rachelle Lee Smith who expressed frustration that she wasn’t notified sooner about what had happened. Although the incident likely occurred Thursday into Friday, students from the Green Crew said they nor the artist knew about it until Monday. “For us, the fact that we found out on Monday – OK, that’s one thing, but the artist should have known that night,” said Edelman. The vandalism happened to a gallery that is just one floor below The Rainbow Center. 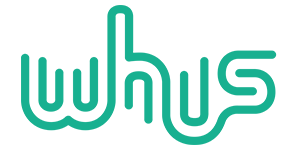 Green Crew member Brandon Purstell said because he sees the Rainbow Center as a safe space for members and allies of the LGBTQ community, this was particularly alarming. Reitz said it was important that everyone at the university know the administration is taking the incident extremely seriously. “There’s no place on any of our campuses for this kind of intolerance and bias, and we’re disgusted by it,” Reitz said. Reitz urges anyone with information to contact the UConn Police.